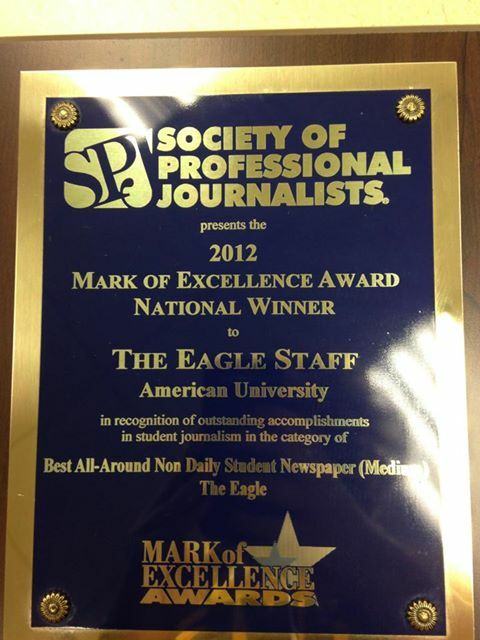 The Eagle’s recognition as National Winner of the 2012 Mark of Excellence Award for Best All-Around Non-Daily Student Newspaper (Medium) from the Society of Professional Journalists. Photo by Paige Jones. • Gridiron Fellow, 2013 Sigma Delta Chi Foundation of Washington, D.C., Inc.